Our aim in Science is to foster a curiosity about the world we live in and to nurture an enthusiasm and love of the subject. Science provides the foundations for understanding and thinking critically about our world through biology, chemistry and physics. All pupils will be taught essential aspects of the knowledge, methods, processes and uses of Science in everyday life. 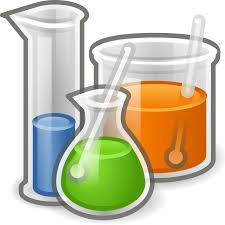 Our Science lessons are based around investigative work in order to engage the children and stimulate their learning. They are encouraged to understand how Science can be used to explain what is occurring, predict how things will behave, and analyse causes. During their time at St James’s, pupils will develop a body of foundational knowledge and conceptual understanding in Key Stage One, slowly building to “working scientifically” in Key Stage Two. Pupils will nurture a core set of skills which will enable them to think logically about a problem whilst also understanding the uses and implications of science, today and for the future. This will encourage a smooth transition to Key Stage Three. We cater for our budding scientists at St James’s with a weekly Science Club run by Mother Nature, where we investigate and experiment with the different equipment available to us. From forces and food chains, to gases and growth, we experiment in any way we can, hoping to make the next big discovery!